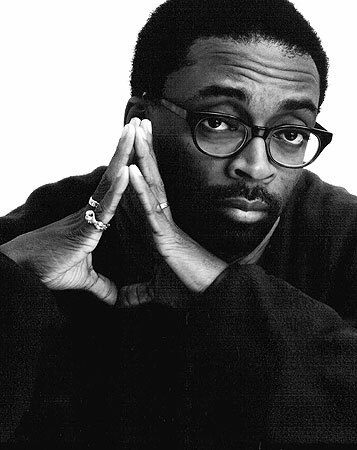 LOS ANGELES, CA, JUNE 28, 2010–Spike Lee is in negotiations to direct the action thriller “Nagasaki Deadline.” Warner Bros.-based Alcon Entertainment will finance and co-produce with Kira Davis (8:38 Productions), and Jon Landau and Rae Sanchini, it was announced by Alcon co-founders and co-CEO’s Andrew Kosove and Broderick Johnson. “Nagasaki Deadline” screenwriters David and Peter Griffiths (“The Hunted,” “Collateral Damage”) will serve as executive producers on the project. William Broyles Jr. (“Castaway;” and Academy Award winning “Apollo 13”) re-wrote the Griffiths script, and the Griffiths completed a subsequent polish. The story revolves around an emotionally damaged FBI agent who must decipher historic events in a desperate race to avert a shocking terrorist plot. Alcon’s Kosove and Johnson will co-produce with Jon Landau (“Titanic,” “Avatar”) and Rae Sanchini (“Titanic,” “True Lies”) and 8:38 Productions’ Kira Davis (“Sisterhood of the Traveling Pants, and “Sisterhood of the Traveling Pants 2”), who brought the project to Alcon. Alcon’s next feature release is the urban comedy “Lottery Ticket,” starring Bow Wow and Ice Cube which opens August 20th via Warner Bros. They just wrapped principle photography in New York on “Something Borrowed” starring Kate Hudson, Ginnifer Goodwin and John Krasinski.